I received the shared products from Finn and Emma for an honest review. This post also contains affiliate links. As always all thoughts and opinions are 100% my own. They are fun for the parents and for the kids. We get adult time and they get playtime. Per usual at a playdate, most parents like to take a million photos and videos too. 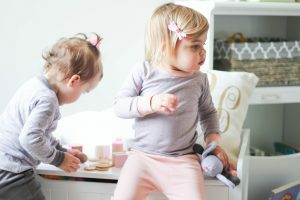 We decided to give the girls a PJ playdate and put them in the softest organic pjs from Finn + Emma . What is more adorable then mix-matching babes? I love the muted colors that Finn + Emma chooses for their fashions. They carry PJs, clothing, accessories, toys and play gyms. Each line has a little something in each category, which I love! Best of all the products are non toxic, eco friendly and GOTS (Global Organic Textile Standard) certified. 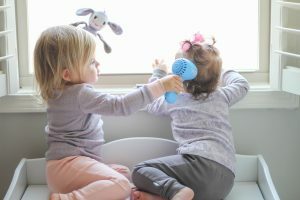 This is the matching toy know as a rattle buddy from the fairytale collection. 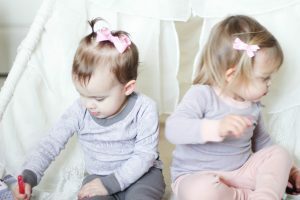 Ava and Izzy are both wearing pjs from this collection. 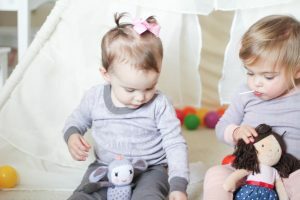 If you are looking for soft fashions, play gyms for a new baby or some sweet rattles/toys check out Finn + Emma . The collections are seriously too cute! So cute! Love Finn and Emma jammies!! Softest fabric ever! They really are so freaking soft! I love them!! They are the best Jammies. So soft! They are both such dolls! Love those comfy looking outfits! Love those jammies! They look so comfy and cute! Thank you Stephanie they are so soft! 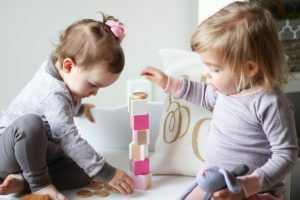 It’s official, you need another child! They are so cute! We love play dates! 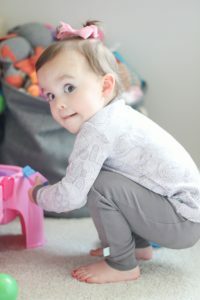 Finn and Emma has become my go to for adorable and crazy comfortable kids pajamas. They are so soft! Play dates are the best!